June 2010 sees the launch of Vauxhall’s new Meriva and we were given a pre-launch car to test by Vauxhall and do you know what, I am glad we were, because it sits in an important and growing sector of the market and our first impressions of the new Meriva were really positive, although I have to admit, we didn’t think it looked too much like a Vauxhall. We always liked the old Vauxhall Meriva, it was a cross between an ordinary small hatch and an MPV. The car was based on the same mechanics as the Vauxhall Corsa, but strangely, drove a lot better than the Corsa. It was well put together and its ride quality was pretty good. Looking a little like a baby Zafira, the Meriva had lots of space inside and stacks of cubby holes and storage options, whilst the rear seats folded into many different configurations, allowing you to decide on what leg room you need and how much space you wanted for luggage. So all in all, an easy to live with, economic yet versatile hatch / MPV. However although it sold in fairly big numbers across Europe, it never really grabbed people’s imagination and that was a shame, so what have Vauxhall managed to come up with for its replacement? Well, if grabbing the imagination was high on Vauxhall’s list, they certainly seem to be aiming for the spot with the quirky new Meriva. I guess all manufacturers are hoping to make their cars stand out against their competition and Vauxhall are doing it by introducing “suicide doors” or at least, that’s what this configuration used to be commonly known as, although Vauxhall call it the much more acceptable name of “FlexDoors”. (Vauxhall seem to use the word “Flex” on anything they introduce now days and indeed Meriva has FlexSpace rear seats and a FlexFloor). Basically, the two rear doors open the other way from the normal (they are hinged at the rear edge) and we can’t see the point of it. In times gone by, “suicide doors” were called that because if you fell out, while the car was moving, chances are you would get hit by the door and then dragged along the road. It was also claimed that the cars body wouldn’t be as strong and for good measure, when disembarking whilst parked the same way as the traffic flow, oncoming drivers couldn’t see you getting out, and so they were considered not to be safe and they were actually banned by the E.U. in 1961. Rolls Royce owners BMW were determined to use these doors again, as they believed it made it much easier and more natural to get in and out of a car with the rear hinged doors and the idea was re-introduced on the Rolls Royce Phantom (as used by Sir Alan Sugar and Simon Cowell) and they called them “coach doors”. They use very special safety interlocks to prevent the doors coming open, or indeed being opened, whilst the car is moving and that’s exactly what Vauxhall have done as well, so the Meriva is just as safe as if it had conventional doors and they say, they offer just so much more in terms of convenience and make the car so nice for rear seat passengers, and getting in and out (it is said) has a real sense of occasion. We tried it here at BVL HQ and frankly, we didn’t know how to approach getting into the car for the first time, as its not what you’re used to, however, they were OK, but in the few seconds it took everyone here to get in and out, none of us felt more natural and we certainly were not aware of any sense of occasion! We asked a few “random” people to get in and out and several of them commented that on conventional doors, as you are opening them, you kind of give them a push with your elbow, but couldn’t do that with the rear hinged doors and everyone said they thought the doors were heavy to open from inside. I guess Vauxhall will consider the rear doors to be the Meriva’s unique selling point, but why? What’s wrong with the way a cars rear doors normally open? Maybe the suicide doors are one of those good ideas that work on paper and not in reality and I cant help but think they will be consigned to the trash bin at some point, a lot like Vauxhall’s “Panoramic Screen” which they spent a fortune on advertising then gave up on. So let’s get back to the car itself, I said I didn’t think it looked like a Vauxhall and even after having the car for a week, I still thought that. Styling wise, there is a dropped window-line on the rear doors, which I assume is to give the rear seat passengers more glass area and make it feel more spacious, but its an odd styling feature and its similar to what Citroen did with the 5 seat C4 Picasso, but its much more exaggerated on the new Meriva and similar to what Proton designed into their “Savvy” although they drop the window line on the front door, but I think its that it reminds me of and I think that’s why I don’t instantly think Vauxhall. Strangely, we thought the car looked better in the pictures than it did in the flesh. OK, the Meriva has the family Vauxhall grille and Vauxhall badges and if you are familiar with any of the modern Vauxhalls such as Insignia, or Astra, the cars interior will be something you are used to, however we have to say, just like the Insignia and new Astra, we found all the buttons confusing and the layout overly complicated and not at all intuitive, making every task something you have to think about and for us, we couldn’t even find our average consumption, or amount of fuel left. Still in the car, well the seats are what you would expect and are of a decent quality (our car was an Exclusiv), and whilst there is plenty enough room for 4/5 adults, we found something we really didn’t like and that’s the lower part of the back of the front seats, you know, the bit your shins are against when you are sitting in the back. On the Meriva, its like rock, hardly any padding and if the driver has the seat back a bit too far, your legs are up against it the entire time and that’s not comfortable and even worse, one could imagine that in a crash, that’s the bit that your shins are going to slap into. Our Meriva had the strangest centre console we’ve ever seen, as its suspended from 2 alloy rails that run from just behind the dash, to the back of the front seats, with a kind of suspended cup holder storage thing that you can slide back and forwards, so that you can get to the normal in between the seats storage area that’s below it and it looks to us as a bit of an afterthought and when the front seat passenger slid it backwards and it fell off, it really didn’t inspire much confidence in it. To be fair, it’s made to be removed if you wish and perhaps it wasn’t located correctly when it fell off, but we found it unnecessarily complicated and really couldn’t see the point of it, but you will be please to know its not standard on other than the “SE” version, and it’s a £50 extra on our Exclusive. The Meriva isn’t a enormous car, far from it, however its got one of those people carrier style dashboards, making the windscreen seem a long long way away and the dash seem huge, making the car feel big to drive and making it pretty much impossible to see anything of the front of the car, so I guess unless you’ve got parking sensors, each time you park, its going to be a wee adventure. Whilst we are inside the car, we should touch on its electronic handbrake and for sure, most manufacturers are using these now days, but on the new Meriva, when you take it off, it makes a strange groaning noise and as soon as you pull away, the central locking locks all the doors with a big clunk and OK, that’s a safety feature and that’s good, but if you are in traffic, where you are putting the handbrake off and on, every time you put the handbrake on, the central locking unlocks all the doors (another clunk and groan) but when you pull away again, off goes the handbrake and on goes the central locking and we found it began to annoy us, all this clunking and groaning on every time we stopped in traffic and on another point, one has to ask, if you are perhaps stopped in traffic (handbrake on) do you really want to doors unlocking? Shouldn’t they be locked for security reasons? Before we vacate the interior, we have to say its big enough inside and there is a good feeling of space, that you wouldn’t get in a conventional hatch such as a Corsa or Fiesta, so I can see it appealing to certain users, perhaps those with young families or those that like that mini people carrier feel. The cars boot is a decent size with a number of storage areas and hooks for carrying things, and the rear seat has a “ski hole” aperture, allowing you to carry longer things, however the bumper is quite high and the sill, quite deep. As standard, the Meriva comes with a tyre inflation kit as opposed to a spare wheel, which was hidden on the drivers side in a cubby hole in the boot and whilst again, probably on trend, these things are complicated if you don’t know how to use them, but effectively, there is a little compressor that spue’s out some kind of sealant into your tyre as it inflates it, meaning you don’t have to jack the thing up and change the wheel and I guess on a rainy day, that’s going to be pretty good, rather than crawling about on the floor, looking for jacking points. That said, it does mean you don’t get a jack with the car, so if you are a DIY motorist, you will have to find something else to lift your Meriva. Whilst the jack is missing, what isn’t, is the spare wheel well, as its there, below the normal boot floor covering and its carpeted in the well to boot! meaning you can use it as an additional “hidden” storage area, but you wonder why its there and isn’t housing your 5th wheel, and the answer is that for £105 extra, you can choose to have a 5th wheel and dump the inflation kit. On the road, for us, (in terms of driving the car) the gem of the new Meriva was its engine. Ours was a 1.4 140ps turbo and Vauxhall clearly like to shout about it as there is a great big turbo badge on the boot lid. We found it deathly quiet and extremely responsive in all conditions and it’s a really impressive little lump, although it suffered in fuel consumption compared to its lower powered siblings, producing a combined figure of 42.2mpg, compared to the other 1.4 engines in Meriva, which achieve a combined of 46.3mpg. Another downside to the 1.4 turbo 140 was its Co2 emissions which are a massive 156g/km compared to 143/144g/km for the other 1400’s and frankly, we feel this is high for its sector also. Of interest, there will also be a tuned-up GSi petrol version next year. The Diesel units are 1.3CDTi 75ps which is the GM/Fiat Multijet unit offering a combined fuel consumption of 57.6mpg and 129g/km emissions and an automatic 1.7CDTi 100ps with 44.1mpg combined and emissions of 168g/km. The stated acceleration figures for the diesels are pretty bad, with the 1.3 taking a massive and embarrassingly slow 16.9 seconds to get you from stand still to 62mph and the automatic 1.7 doing it a touch quicker in 13.9 seconds, so you certainly are not going to score points in the traffic light grand prix. We understand there will also be an “eco” diesel version coming out shortly, which might correct some of our gripes, although we can’t imagine how long that’s going to take to get from 0-62mph! On the road, however, the Meriva is really quite nice and yes, at higher speeds there is some road noise, for the main part, its extremely quiet and a really relaxing and enjoyable drive. The car has electronic power steering, but actually, it works for this car and its light, precise and balanced, with plenty of feedback from the road, making driving on twisty country roads a satisfying experience and parking in an congested urban environment, an absolute breeze (providing you have parking sensors). Whilst I know Meriva probably isn’t going to be a purchased in big numbers as company cars, where Benefit In Kind Tax is rated on Co2 emissions, the emissions of the new Meriva are high for such a small car and to put this into perspective, BMW make a 3 Series saloon, with a 2.0 diesel engine that does 142mph and its Co2 emissions are just 109g/km yet it has a combined average fuel consumption figure of 68.9mpg. So even if you haven’t got any BIK liability, if you simply are looking to be as eco-friendly and green as you can be, there are stacks of cars out there that will do this better for you. Price is always a factor in what we choose and Meriva starts in at a reasonable £12,995 on the road, but that’s for the basic 1.4i 100ps petrol “Expression” model and that’s really good value, but it all falls down from there on, as the price jumps hugely if you look at the next cheapest car and that’s the same 1.4i 100ps engine in an “S” specification and that’s £15495 and according to the price list, all you get for this extra money is a better CD Player, front seat side impact airbags, a USB connection with iPod control and a graphic information display, you don’t however (and cant even as an option) get air-conditioning on the “Expression” or the “S”. The car we tested, a 1.4 140ps “Exclusiv” with its metallic paint, parking sensors and its quirky centre console, hits the till at a massive £19,000, yet it does not even get electric rear windows. Cheapest diesel in the range is the 1.3CDTi 75ps “S” and that’s £16,875. Go for the top of the range “SE” version with the 1.7CDTi diesel and automatic transmission and be prepared to shell out a mind numbing £21,255, but put a few extras on it such as metallic at £435, leather at £1025, seat & light pack at £205, winter pack at £215, convenience pack at £100, dual zone climate control at £295, opt for 18” alloys at £550, parking sensors at £375 and top it off with Bluetooth for your phone at £220 and a Satellite Navigation System at £835 and wow wee, you are looking at a your Meriva costing you a phenomenal £25,510 (but you do get electric rear windows as standard). To put this into perspective, let’s look at the Meriva’s competition, and frankly, it’s got loads in that sector, but to keep it simple, let’s pick just one, the Citroen C3 Picasso. Similar concept and does pretty much the same job. The Citroen starts in at £12445 on the road (similar to the lead in Meriva) and the emissions from the Picasso’s petrol engine are pretty similar to Meriva, but the Citroen offers a lower Co2 diesel at just 119g/km and even its top of the range “Exclusive” model with the 90ps diesel only prices at £15,745 and comes with climate control as standard, has a lower Co2, does over 60mpg combined average and is quicker. I guess its time to give you a summary of our opinions about the new Meriva, well there’s no doubt, it’s a pretty, well styled good looking little family car, that is going to do a good job for you if you choose to have one, and indeed, its still got many of the interior features that made old Meriva so nice, and for the main part its had excellent reviews, however for us we think Vauxhall wasted time on things that don’t really matter, such as developing the rear opening back doors and the strange console. We were disappointed by both the cars fuel consumption and its poor Co2 emissions and its generally poor specification in relation to its price. When we started this road test, we didn’t initially know the cars price and in a straw poll around our office, nobody imagined it to be anywhere near as expensive as it was and all of us were shocked. We didn’t dislike the new Meriva, and there is lots that is really nice about it, but it has a premium price tag (apart from the “Expression” version) and for us, we felt that at the price it is, it should deliver more and be better specified. We approached the road test thinking yes, this is ok, a nice little car, we like it and although it didn’t tick all the boxes, at the price we had imagined it to be, we would have overlooked our reservations and absolutely and unreservedly recommended it, but frankly, at the price it actually is, there are just far too many areas where we were disappointed and we think you can get far more car for your cash looking in other directions. 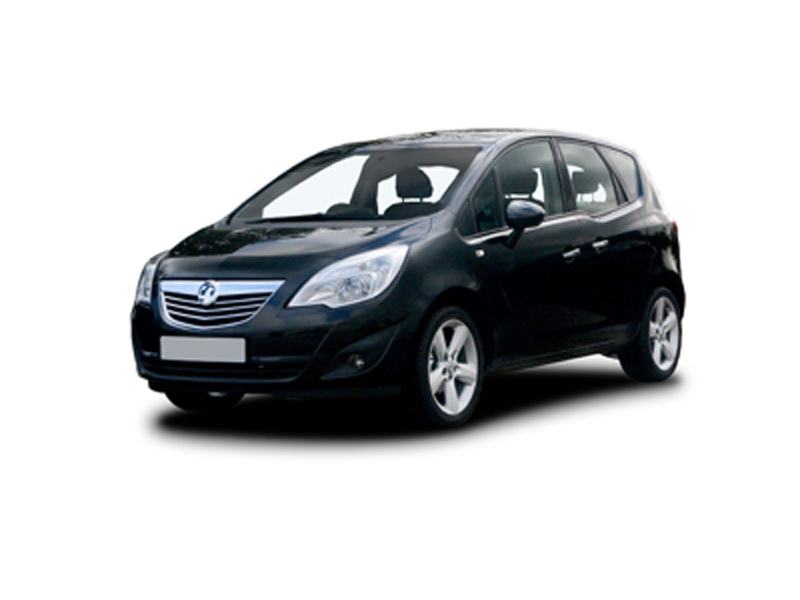 For a quotation on the new Vauxhall Meriva, or on any other Vauxhall, please contact us.